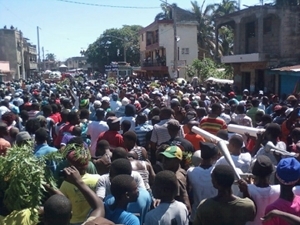 Thousands took to the streets chanting slogans such as “Down with Martelly and the pink hunger,” a clear reference to the color associated with the president’s election campaign and his supporters. 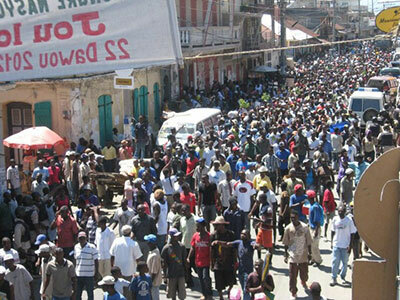 While Haitian news outlets such as Radio Caraibe, Radio Vision 2000 and Le Matin reported on the demonstrations, the only foreign news agencies to write about them appear to be RFI and AlterPress. 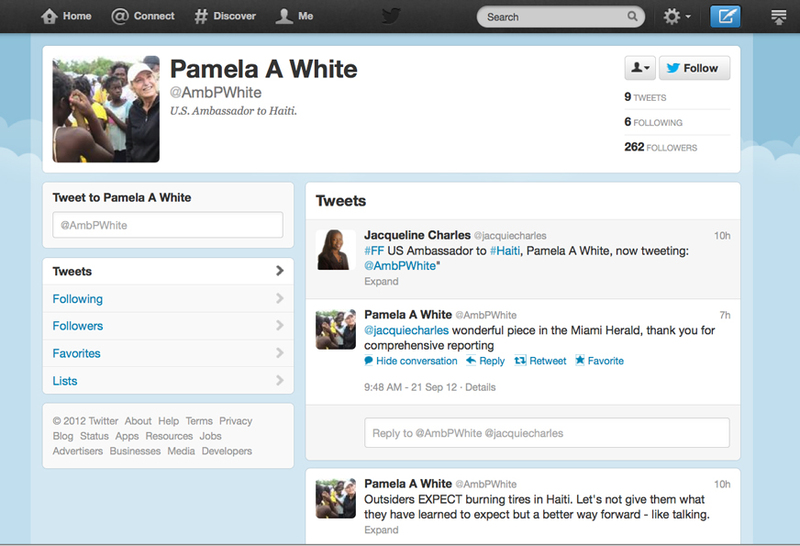 This was immediately followed by the U.S. ambassador’s admonishment: “Outsiders EXPECT burning tires in Haiti. Let’s not give them what they have learned to expect but a better way forward – like talking.” Now exactly who White was referring to as “outsiders,” given that she was only sworn into her post on July 18, remained unclear. That she seems to either be unaware or disingenuous about the increasing evidence of growing corruption in the current Haitian government and the commiserate misery and hunger facing Haitians was crystal clear. What she failed to acknowledge is that the thousands of Haitians protesting in the streets against corruption and hunger in Haiti were “talking” in the only way they felt possible, even as she was dismissing them as merely “burning tires.” They have been “talking” for several months now and no one in power seems to be listening to them, especially Martelly and, apparently, the U.S. Embassy. More interesting was that not a single U.S. news outlet filed a story in English on the demonstrations. Most conspicuously absent in their coverage was The Miami Herald, whose Caribbean correspondent, Jacqueline Charles, was busy tweeting about Haitian news of the protests throughout the morning despite claiming to be on vacation. To say that The Miami Herald was conspicuously absent in covering what has to be the largest protests against corruption in Haiti in recent memory is an understatement. This is especially true in light of The Miami Herald’s zealous and extensive coverage of past political scandal and corruption allegedly involving former President Jean-Bertrand Aristide. Without a shred of evidence, The Miami Herald would then go so far as to try to connect Aristide to the assassination of the father of one of the defendants in the case, “He was assassinated just days after The Miami Herald reported in March that the son was cooperating with the Justice Department in a related kickback probe into deposed President Jean-Bertrand Aristide.” Yes, The Miami Herald is well-known for its own brand of “comprehensive reporting” about corruption in Haiti. With all the great interest and attention The Miami Herald paid to past corruption cases in Haiti, would it be too much to expect they might ink something, anything, about recent large anti-corruption protests in the country? 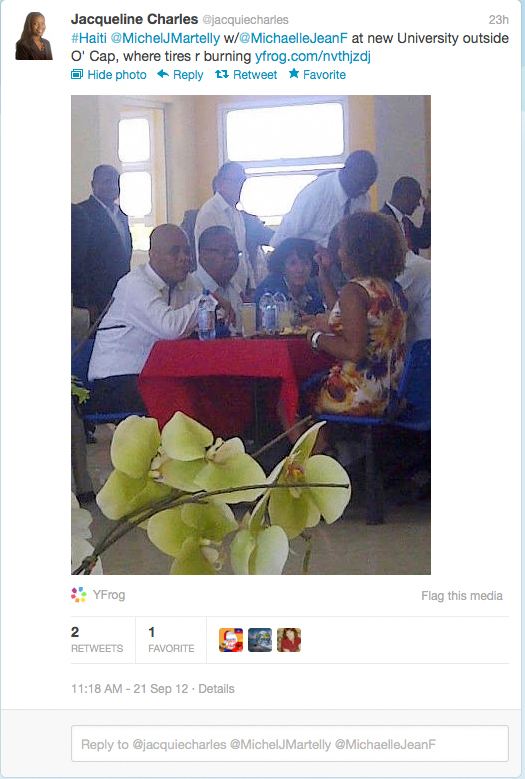 Apparently not, when the U.S. ambassador is obsessed with burning tires harming Haiti’s image with foreign investors or when demonstrators are targeting Martelly and his cronies. Kevin Pina, founding editor of the Haiti Information Project (HIP), winner of the Project Censored 2008 Real News Award for Outstanding Investigative Journalism and senior producer for Flashpoints on Pacifica Radio, can be reached at hip@teledyol.net.